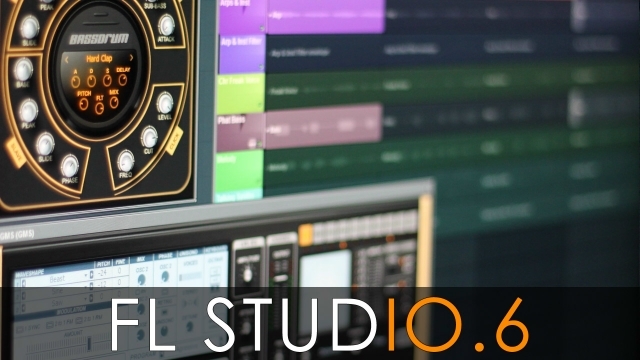 We are pleased to announce that registered customers can now download FL Studio 10.6 (beta) for testing. Just click on the image below. Multi-touch support - FL Studio (and some plugins) now respond to Multitouch on Windows 7 or higher. BassDrum - BassDrum is a Kick/Bass percussion synthesizer with sample layering. GrooveMachine Synth - By popular demand, the synth & FX section from Groove Machine now as an independent plugin. Plugin picker - Right-click to open a plugin and its presets in the Browser. Harmor - Now supports Komplexer WT wavetables & 'Map audio regions to keys' with auto-dump to score for Slicex like drum handling. Debugging code - This version contains code to help us track any bugs deep in the code. When you close FL Studio you may see a pop-up window reporting things such as 'memory leaks'. If you see any of these messages please report here and let us know.